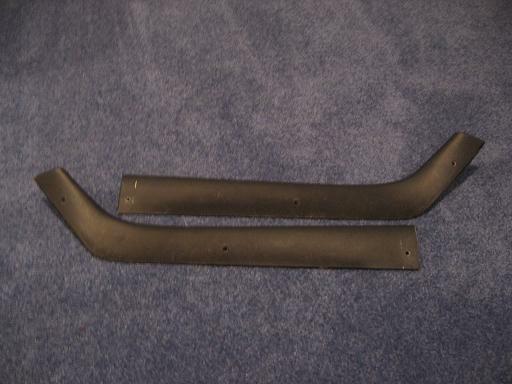 This is a set of used OEM sail panel trim moldings for 1969 and 1970 Ford Mustang fastbacks, body style 63C. The engineering numbers on the panels are C9ZB-6331112-CW and C9ZB-6331113-CW. The panels are in nice shape with no cracks. The mounting holes are just slightly enlarged from use and you'll want to repaint them to return the finish to "like new" condition. Please be sure to select either "parcel post" or "priority mail" shipping for this item. It will not fit in a flat rate box!